Social Media for Disaster Response – Done Right! 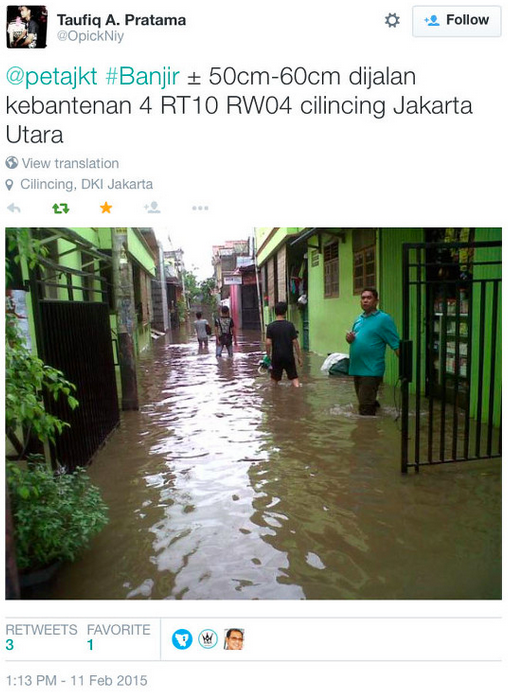 To say that Indonesia’s capital is prone to flooding would be an understatement. Well over 40% of Jakarta is at or below sea level. Add to this a rapidly growing population of over 10 million and you have a recipe for recurring disasters. Increasing the resilience of the city’s residents to flooding is thus imperative. Resilience is the capacity of affected individuals to self-organize effectively, which requires timely decision-making based on accurate, actionable and real-time information. But Jakarta is also flooded with information during disasters. Indeed, the Indonesian capital is the world’s most active Twitter city. So even if relevant, actionable information on rising flood levels could somehow be gleaned from millions of tweets in real-time, these reports could be inaccurate or completely false. Besides, only 3% of tweets on average are geo-located, which means any reliable evidence of flooding reported via Twitter is typically not actionable—that is, unless local residents and responders know where waters are rising, they can’t take tactical action in a timely manner. These major challenges explain why most discount the value of social media for disaster response. But Digital Humanitarians in Jakarta aren’t your average Digital Humanitarians. These Digital Jedis recently launched one of the most promising humanitarian technology initiatives I’ve seen in years. Code named Peta Jakarta, the project takes social media and digital humanitarian action to the next level. Whenever someone posts a tweet with the word banjir (flood), they receive an automated tweet reply from @PetaJkt inviting them to confirm whether they see signs of flooding in their area: “Flooding? Enable geo-location, tweet @petajkt #banjir and check petajakarta.org.” The user can confirm their report by turning geo-location on and simply replying with the keyword banjir or flood. The result gets added to a live, public crisis map, like the one below. The Live Crisis Maps could be viewed via two different interfaces depending on the end user. For local residents, the maps could be accessed via smartphone with the visual display designed specifically for more tactical decision-making, showing flood reports at the neighborhood level and only for the past hour. My blog post is based several conversations I had with Peta Jakarta team and on this white paper, which was just published a week ago. The report runs close to 100 pages and should absolutely be considered required reading for all Digital Humanitarians and CrisisMappers. The paper includes several dozen insights which a short blog post simply cannot do justice to. If you can’t find the time to read the report, then please see the key excerpts below. In a future blog post, I’ll describe how the Peta Jakarta team plans to leverage UAVs to complement social media reporting. Extracting knowledge from the “noise” of social media requires designed engagement and filtering processes to eliminate unwanted information, reward valuable reports, and display useful data in a manner that further enables users, governments, or other agencies to make non-trivial, actionable decisions in a time-critical manner. While the utility of passively-mined social media data can offer insights for offline analytics and derivative studies for future planning scenarios, the critical issue for frontline emergency responders is the organization and coordination of actionable, real-time data related to disaster situations. User anonymity in the reporting process was embedded within the Peta Jakarta project. Whilst the data produced by Twitter reports of flooding is in the public domain, the objective was not to create an archive of users who submitted potentially sensitive reports about flooding events, outside of the Twitter platform. Peta Jakarta was thus designed to anonymize reports collected by separating reports from their respective users. Furthermore, the text content of tweets is only stored when the report is confirmed, that is, when the user has opted to send a message to the @petajkt account to describe their situation. Similarly, when usernames are stored, they are encrypted using a one-way hash function. 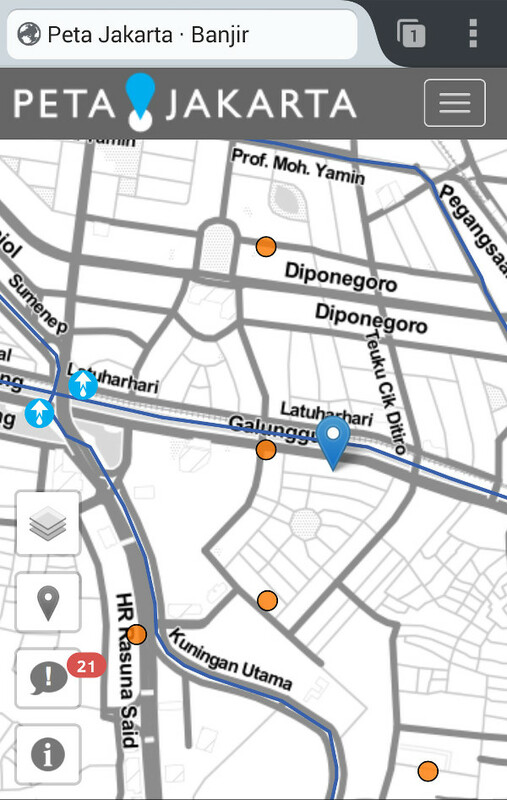 In developing the Peta Jakarta brand as the public face of the project, it was important to ensure that the interface and map were presented as community-owned, rather than as a government product or academic research tool. Aiming to appeal to first adopters—the young, tech-savvy Twitter-public of Jakarta—the language used in all the outreach materials (Twitter replies, the outreach video, graphics, and print advertisements) was intentionally casual and concise. Because of the repeated recurrence of flood events during the monsoon, and the continuation of daily activities around and through these flood events, the messages were intentionally designed to be more like normal twitter chatter and less like public service announcements. It was important to design the user interaction with PetaJakarta.org to create a user experience that highlighted the community resource element of the project (similar to the Waze traffic app), rather than an emergency or information service. With this aim in mind, the graphics and language are casual and light in tone. In the video, auto-replies, and print advertisements, PetaJakarta.org never used alarmist or moralizing language; instead, the graphic identity is one of casual, opt-in, community participation. The most frequent question directed to @petajkt on Twitter was about how to activate the geo-location function for tweets. So far, this question has been addressed manually by sending a reply tweet with a graphic instruction describing how to activate geo-location functionality. Critical to the success of the project was its official public launch with, and promotion by, the Governor. This endorsement gave the platform very high visibility and increased legitimacy among other government agencies and public users; it also produced a very successful media event, which led substantial media coverage and subsequent public attention. 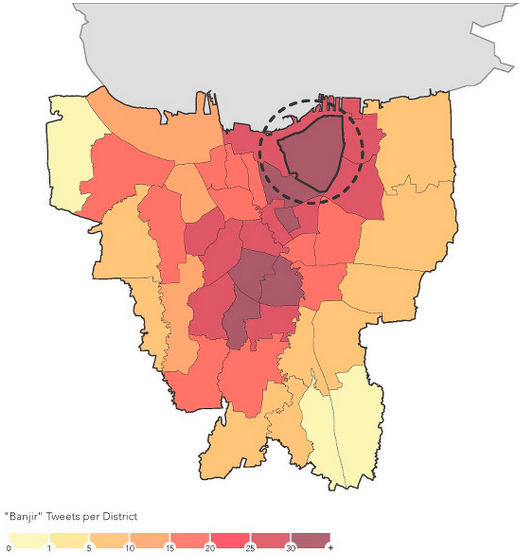 The aggregation of the tweets (designed to match the spatio-temporal structure of flood reporting in the system of the Jakarta Disaster Management Agency) was still inadequate when looking at social media because it could result in their overlooking reports that occurred in areas of especially low Twitter activity. Instead, the Agency used the @petajkt Twitter stream to direct their use of the map and to verify and cross-check information about flood-affected areas in real-time. While this use of social media was productive overall, the findings from the Joint Pilot Study have led to the proposal for the development of a more robust Risk Evaluation Matrix (REM) that would enable Peta Jakarta to serve a wider community of users & optimize the data collection process through an open API. Developing a more robust integration of social media data also means leveraging other potential data sets to increase the intelligence produced by the system through hybridity; these other sources could include, but are not limited to, government, private sector, and NGO applications (‘apps’) for on- the-ground data collection, LIDAR or UAV-sourced elevation data, and fixed ground control points with various types of sensor data. The “citizen-as- sensor” paradigm for urban data collection will advance most effectively if other types of sensors and their attendant data sources are developed in concert with social media sourced information. 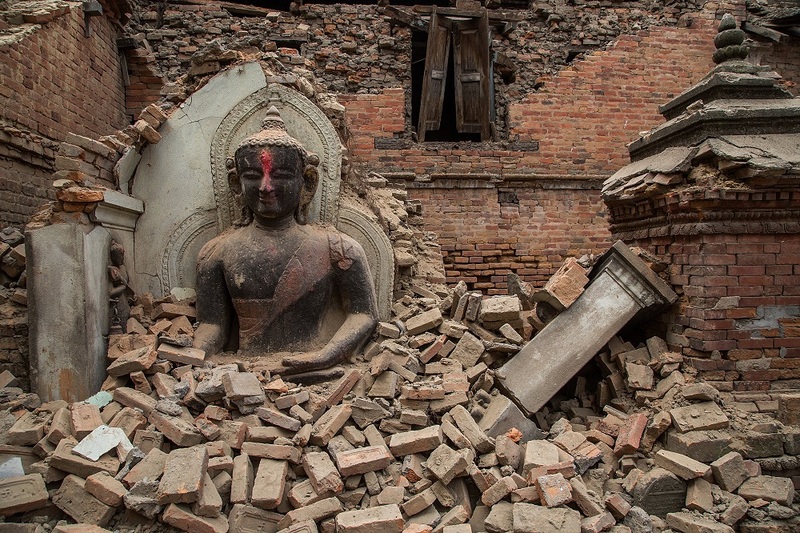 Digital Humanitarians are responding in full force to the devastating earthquake that struck Nepal. Information sharing and coordination is taking place online via CrisisMappers and on multiple dedicated Skype chats. The Standby Task Force (SBTF), Humanitarian OpenStreetMap (HOT) and others from the Digital Humanitarian Network (DHN) have also deployed in response to the tragedy. This blog post provides a quick summary of some of these digital humanitarian efforts along with what’s coming in terms of new deployments. 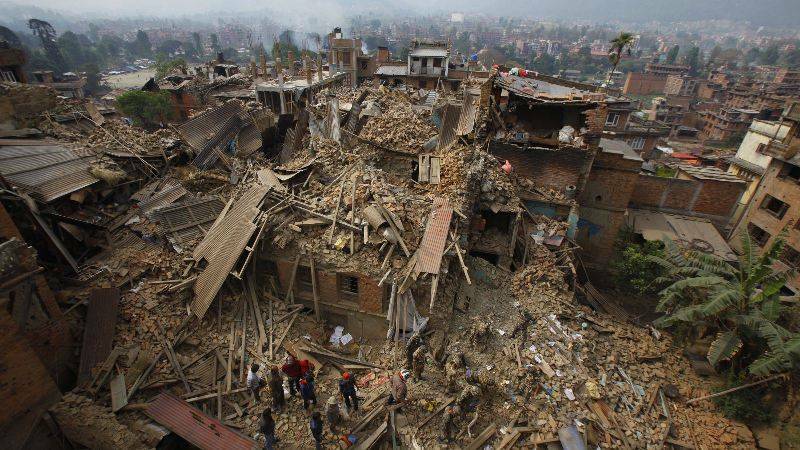 Update: A list of Crisis Maps for Nepal is available below. At the request of the UN Office for the Coordination of Humanitarian Affairs (OCHA), the SBTF is using QCRI’s MicroMappers platform to crowdsource the analysis of tweets and mainstream media (the latter via GDELT) to rapidly 1) assess disaster damage & needs; and 2) Identify where humanitarian groups are deploying (3W’s). The MicroMappers CrisisMaps are already live and publicly available below (simply click on the maps to open live version). Both Crisis Maps are being updated hourly (at times every 15 minutes). Note that MicroMappers also uses both crowdsourcing and Artificial Intelligence (AIDR). Update: More than 1,200 Digital Jedis have used MicroMappers to sift through a staggering 35,000 images and 7,000 tweets! This has so far resulted in 300+ relevant pictures of disaster damage displayed on the Image Crisis Map and over 100 relevant disaster tweets on the Tweet Crisis Map. Note: the outstanding Kathmandu Living Labs (KLL) team have also launched an Ushahidi Crisis Map in collaboration with the Nepal Red Cross. We’ve already invited invited KLL to take all of the MicroMappers data and add it to their crisis map. Supporting local efforts is absolutely key. The Humanitarian UAV Network (UAViators) has also been activated to identify, mobilize and coordinate UAV assets & teams. Several professional UAV teams are already on their way to Kathmandu. The UAV pilots will be producing high resolution nadir imagery, oblique imagery and 3D point clouds. UAViators will be pushing this imagery to both HOT and MicroMappers for rapid crowdsourced analysis (just like was done with the aerial imagery from Vanuatu post Cyclone Pam, more on that here). A leading UAV manufacturer is also donating several UAVs to UAViators for use in Nepal. These UAVs will be sent to KLL to support their efforts. In the meantime, DigitalGlobe, Planet Labs and SkyBox are each sharing their satellite imagery with CrisisMappers, HOT and others in the Digital Humanitarian Network. There are several other efforts going on, so the above is certainly not a complete list but simply reflect those digital humanitarian efforts that I am involved in or most familiar with. If you know of other major efforts, then please feel free to post them in the comments section. Thank you. 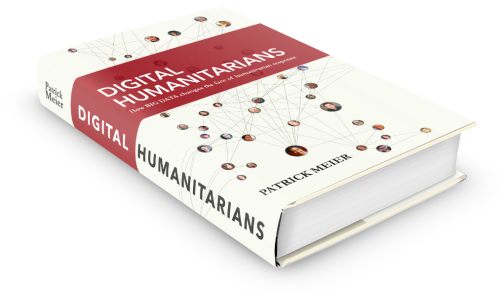 More on the state of the art in digital humanitarian action in my new book, Digital Humanitarians. Please add to the list below by posting new links in this Google Spreadsheet. Also, someone should really create 1 map that pulls from each of the listed maps. I thus introduced a new project to “develop a free and open source platform to automatically filter relevant election reports from the crowd.” I’m pleased to report that my team and I at QCRI have just tested AIME during an actual election for the very first time—the 2015 Nigerian Elections. My QCRI Research Assistant Peter Mosur (co-author of this blog post) collaborated directly with Oludotun Babayemi from Clonehouse Nigeria and Chuks Ojidoh from the Community Life Project & Reclaim Naija to deploy and test the AIME platform. AIME is a free and open source (experimental) solution that combines crowd-sourcing with Artificial Intelligence to automatically identify tweets of interest during major elections. As organizations engaged in election monitoring well know, there can be a lot chatter on social media as people rally behind their chosen candidates, announce this to the world, ask their friends and family who they will be voting for, and updating others when they have voted while posting about election related incidents they may have witnessed. This can make it rather challenging to find reports relevant to election monitoring groups. Election monitors typically monitor instances of violence, election rigging, and voter issues. These incidents are monitored because they reveal problems that arise with the elections. Election monitoring initiatives such as Reclaim Naija & Uzabe also monitor several other type of incidents but for the purposes of testing the AIME platform, we selected three types of events mentioned above. In order to automatically identify tweets related to these events, one must first provide AIME with example tweets. (Of course, if there is no Twitter traffic to begin with, then there won’t be much need for AIME, which is precisely why we developed an SMS extension that can be used with AIME). So where does the crowdsourcing comes in? 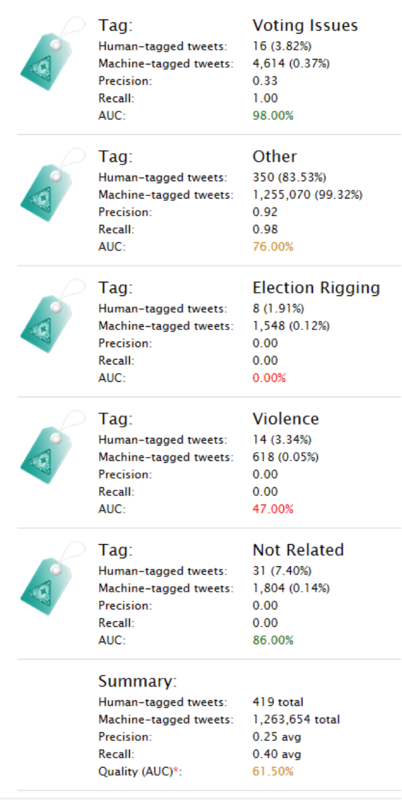 Users of AIME can ask the crowd to tag tweets related to election-violence, rigging and voter issues by simply clicking on tagging tweets posted to the AIME platform with the appropriate event type. (Several quality control mechanisms are built in to ensure data quality. Also, one does not need to use crowdsourcing to tag the tweets; this can be done internally as well or instead). What AIME does next is use a technique from Artificial Intelligence (AI) called statistical machine learning to understand patterns in the human-tagged tweets. In other words, it begins to recognize which tweets belong in which category type—violence, rigging and voter issues. AIME will then auto-classify new tweets that are related to these categories (and can auto-classify around 2 millions tweets or text messages per minute). Before creating our automatic classifier for the Nigerian Elections, we first needed to collect examples of tweets related to election violence, rigging and voter issues in order to teach AIME. Oludotun Babayemi and Chuks Ojidoh kindly provided the expert local knowledge needed to identify the keywords we should be following on Twitter (using AIME). They graciously gave us many different keywords to use as well as a list of trusted Twitter accounts to follow for election-related messages. (Due to difficulties with AIME, we were not able to use the trusted accounts. In addition, many of the suggested keywords were unusable since words like “aggressive”, “detonate”, and “security” would have resulted in large amount of false positives). Out of this list, “NigeriaDecides” was by far the most popular keyword used in the elections. It accounted for over 28,000 Tweets of a batch of 100,000. During the week leading up to the elections, AIME collected roughly 800,000 Tweets. Over the course of the elections and the few days following, the total number of collected Tweets jumped to well over 4 million. Any tweet that did not fall into these three categories was tagged as “Other” or “Not Related”. Our Election Classifiers were trained with a total of 571 human-tagged tweets which enabled AIME to automatically classify well over 1 million tweets (1,263,654 to be precise). The results in the screenshot below show accurate AIME was at auto-classifying tweets based on the different event types define earlier. AUC is what captures the “overall accuracy” of AIME’s classifiers. AIME was rather good at correctly tagging tweets related to “Voting Issues” (98% accuracy) but drastically poor at tagging related to “Election Rigging” (0%). This is not AIME’s fault : ) since it only had 8 examples to learn from. As for “Violence”, the accuracy score was 47%, which is actually surprising given that AIME only had 14 human-tagged examples to learn from. Lastly, AIME did fairly well at auto-classifying unrelated tweets (accuracy of 86%). Conclusion: this was the first time we tested AIME during an actual election and we’ve learned a lot in the process. The results are not perfect but enough to press on and experiment further with the AIME platform. If you’d like to test AIME yourself (and if you fully recognize that the tool is experimental and still under development, hence not perfect), then feel free to get in touch with me here. We have 2 slots open for testing. In the meantime, big thanks to my RA Peter for spearheading both this deployment and the subsequent research. And so, traditional humanitarian organizations have a choice when it comes to battling Big Data. They can either continue business as usual (and lose) or get with the program and adopt Big Data solutions like everyone else. The same goes for Digital Humanitarians. As noted in my new book of the same title, those Digital Humanitarians who cling to crowdsourcing alone as their pièce de résistance will inevitably become the ivy-laden battlefield monuments of 2020. Big Data comprises a variety of data types such as text, imagery and video. Examples of text-based data includes mainstream news articles, tweets and WhatsApp messages. Imagery includes Instagram, professional photographs that accompany news articles, satellite imagery and increasingly aerial imagery as well (captured by UAVs). Television channels, Meerkat and YouTube broadcast videos. Finding relevant, credible and actionable pieces of text, imagery and video in the Big Data generated during major disasters is like looking for a needle in a meadow (haystacks are ridiculously small datasets by comparison). Humanitarian organizations, like many others in different sectors, often find comfort in the notion that their problems are unique. Thankfully, this is rarely true. Not only is the Big Data challenge not unique to the humanitarian space, real solutions to the data deluge have already been developed by groups that humanitarian professionals at worst don’t know exist and at best rarely speak with. These groups are already using Artificial Intelligence (AI) and some form of human input to make sense of Big Data. How does it work? And why do you still need some human input if AI is already in play? The human input, which can be via crowdsourcing or a few individuals is needed to train the AI engine, which uses a technique from AI called machine learning to learn from the human(s). Take AIDR, for example. This experimental solution, which stands for Artificial Intelligence for Disaster Response, uses AI powered by crowdsourcing to automatically identify relevant tweets and text messages in an exploding meadow of digital data. The crowd tags tweets and messages they find relevant and the AI engine learns to recognize the relevance patterns in real-time, allowing AIDR to automatically identify future tweets and messages. As far as we know, AIDR is the only Big Data solution out there that combines crowdsourcing with real-time machine learning for disaster response. Why do we use crowdsourcing to train the AI engine? Because speed is of the essence in disasters. You need a crowd of Digital Humanitarians to quickly tag as many tweets/messages as possible so that AIDR can learn as fast as possible. Incidentally, once you’ve created an algorithm that accurately detects tweets relaying urgent needs after a Typhoon in the Philippines, you can use that same algorithm again when the next Typhoon hits (no crowd needed). What about pictures? After all, pictures are worth a thousand words. Is it possible to combine artificial intelligence with human input to automatically identify pictures that show infrastructure damage? Thanks to recent break-throughs in computer vision, this is indeed possible. Take Metamind, for example, a new startup I just met with in Silicon Valley. Metamind is barely 6 months old but the team has already demonstrated that one can indeed automatically identify a whole host of features in pictures by using artificial intelligence and some initial human input. The key is human input since this is what trains the algorithms. The more human-generated training data you have, the better your algorithms. My team and I at QCRI are collaborating with Metamind to create algorithms that can automatically detect infrastructure damage in pictures. The Silicon Valley start-up is convinced that we’ll be able to create a highly accurate algorithms if we have enough training data. This is where MicroMappers comes in. We’re already using MicroMappers to create training data for tweets and text messages (which is what AIDR uses to create algorithms). In addition, we’re already using MicroMappers to tag and map pictures of disaster damage. The missing link—in order to turn this tagged data into algorithms—is Metamind. I’m excited about the prospects, so stay tuned for updates as we plan to start teaching Metamind’s AI engine this month. How about videos as a source of Big Data during disasters? I was just in Austin for SXSW 2015 and met up with the CEO of WireWax, a British company that uses—you guessed it—artificial intelligence and human input to automatically detect countless features in videos. Their platform has already been used to automatically find guns and Justin Bieber across millions of videos. Several other groups are also working on feature detection in videos. Colleagues at Carnegie Melon University (CMU), for example, are working on developing algorithms that can detect evidence of gross human rights violations in YouTube videos coming from Syria. They’re currently applying their algorithms on videos of disaster footage, which we recently shared with them, to determine whether infrastructure damage can be automatically detected. What about satellite & aerial imagery? Well the team driving DigitalGlobe’s Tomnod platform have already been using AI powered by crowdsourcing to automatically identify features of interest in satellite (and now aerial) imagery. My team and I are working on similar solutions with MicroMappers, with the hope of creating real-time machine learning solutions for both satellite and aerial imagery. Unlike Tomnod, the MicroMappers platform is free and open source (and also filters social media, photographs, videos & mainstream news). So there you have it. The future of humanitarian information systems will not be an App Store but an “Alg Store”, i.e, an Algorithm Store providing a growing menu of algorithms that have already been trained to automatically detect certain features in texts, imagery and videos that gets generated during disasters. These algorithms will also “talk to each other” and integrate other feeds (from real-time sensors, Internet of Things) thanks to data-fusion solutions that already exist and others that are in the works. Now, the astute reader may have noted that I omitted audio/speech in my post. I’ll be writing about this in a future post since this one is already long enough.